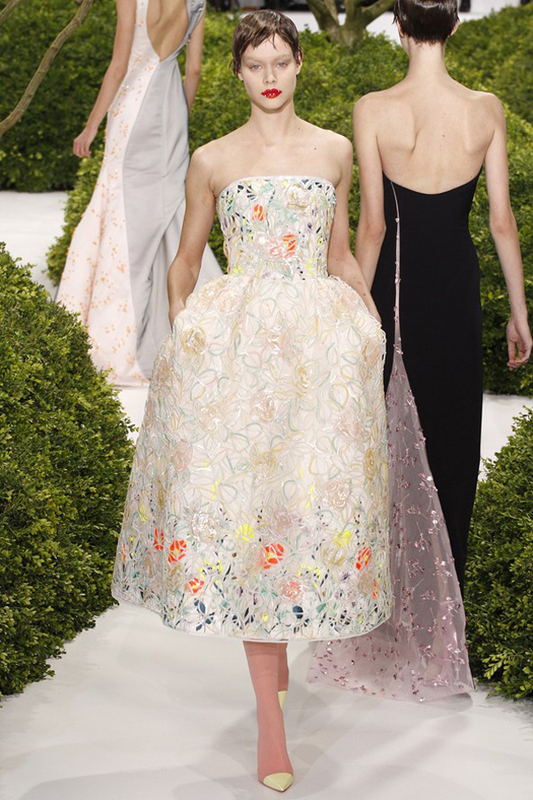 The ongoing Paris Fashion Week 2013 gives you a unique opportunity to take a look at the most amazing creations by the top-ranking fashion designers. As a rule, almost every womenswear collection includes the beautiful dresses that are worth to be worn by the fairytale princesses. As the major part of the fashion shows in the frame the Paris Fashion Week already took place, we have prepared the list of the dresses that made our hearts bit faster. Consider wearing this original dress for your wedding day. Soft and feminine, it is a perfect wear for the romantic lady. 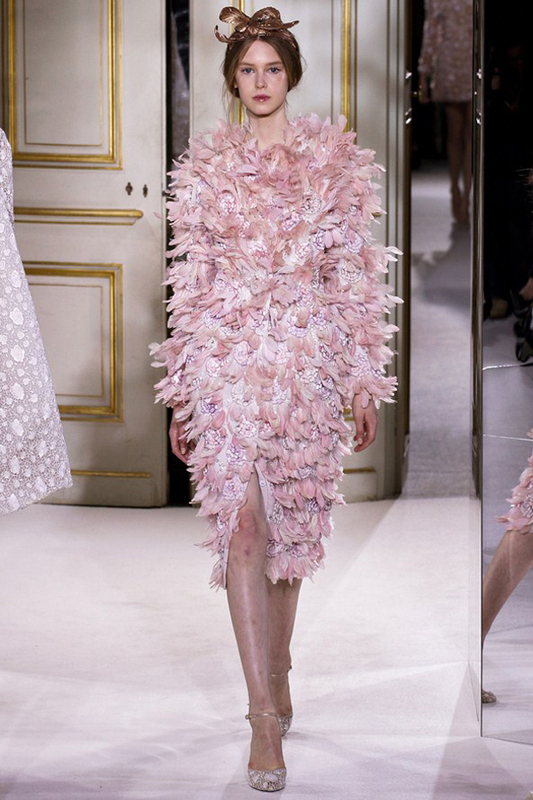 Feathers promise to be the bold trend of the year 2013. The easiest way to make an impression with your look is wearing such an elegant dress in the daffodil yellow. 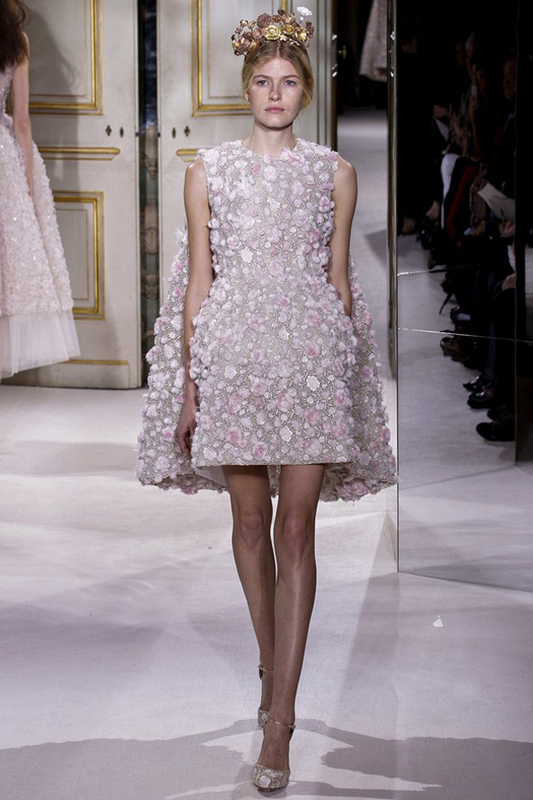 Flowers are Valli’s signature element and this pink dress is truly him in his best. 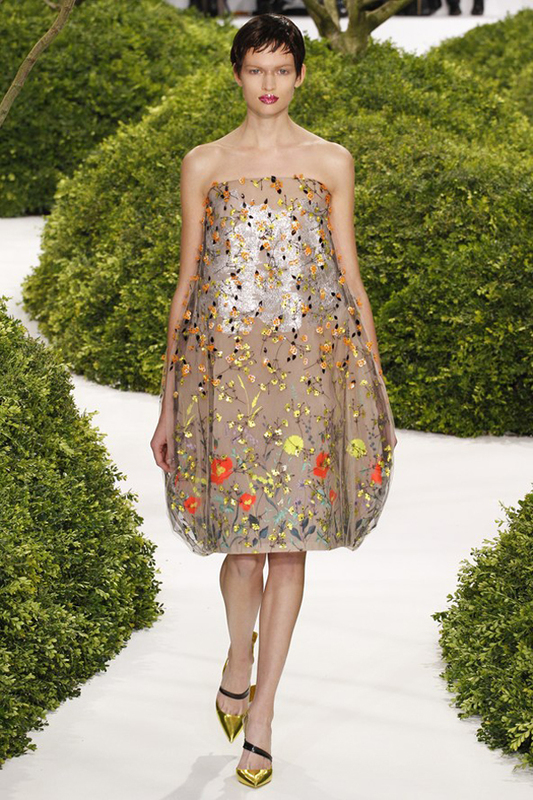 Beads and blooms are stunning themselves and blending of these two elements allowed creating this stunning dress. 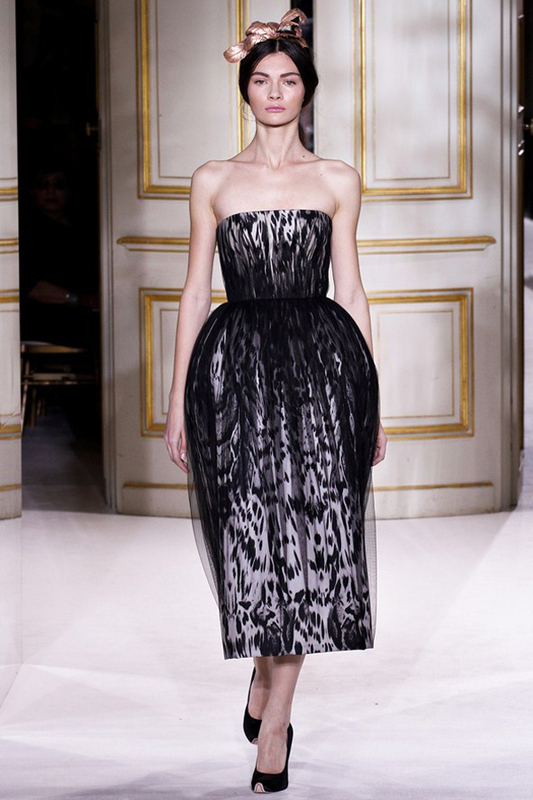 The interesting silhouette as well as the original pattern and midi length make this dress a real creation of art. There is nothing to tell, simply gorgeous. 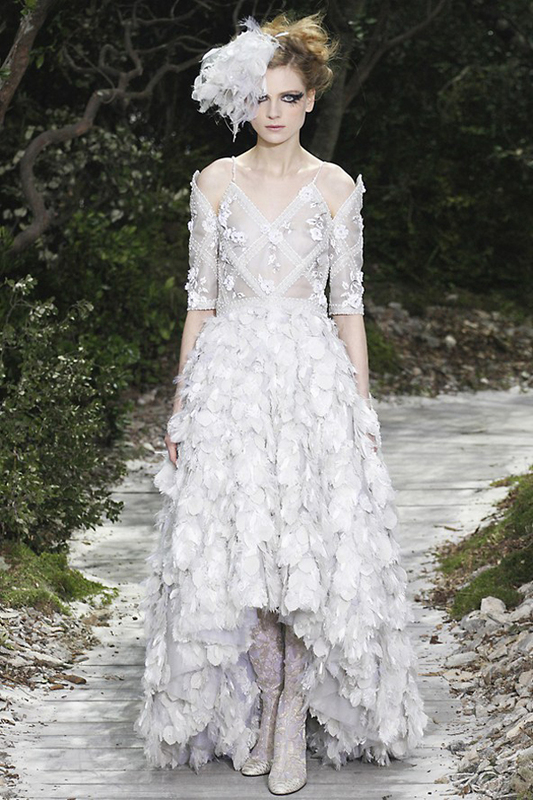 This one is definitely an ideal option for the wedding dress. Strong and a bit gothic, this dress is performed in Versace’s signature style. The sheer parts of this dress bare just the right amount of naked body. Inspired by the Turkish fashion, Giorgio Armani created this striking dress with graphics and billowy silhouettes. The color and the large scale jewelry make up this red dress. The splashes of sparkles- that’s what make this dress appear so stunning. 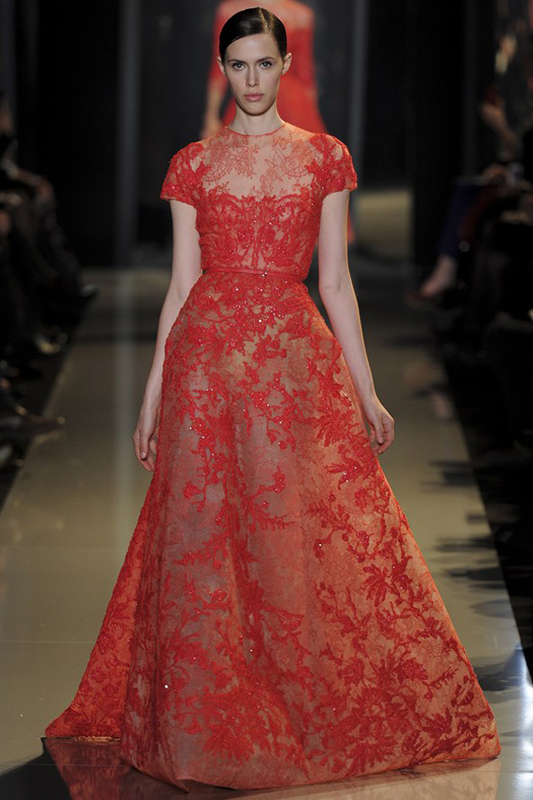 The combination of the red lace, glitter and sheer fabrics make this a lust-worthy dress. This dress looks elegant and chic owing to the noble shade of blue and moderate amount of shimmer. 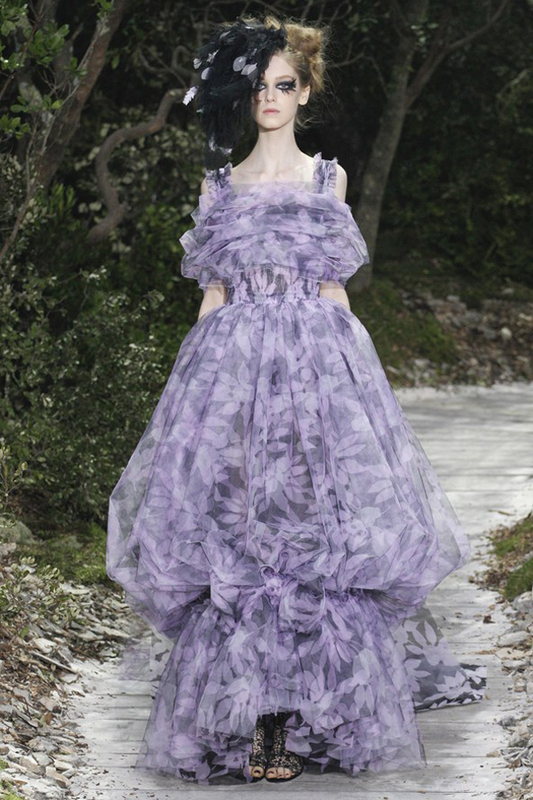 Want to create an image of the chic witch, consider wearing this magical dress. This dress evokes the sweet memories about the exotic travels. The original neckline makes the most of this dress. Bold and edgy, this dress will make you a center of everyone’s attention. 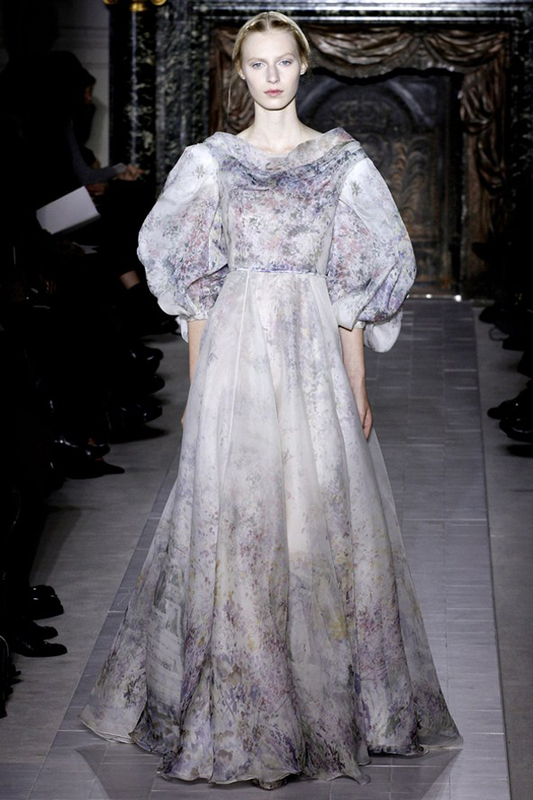 Flowing and soft, this Valentino make you feel like a fairy-tale princess. This dress is simply classy and elegant. Valentino wouldn’t be Valentino if he wouldn’t create the red statement dress. 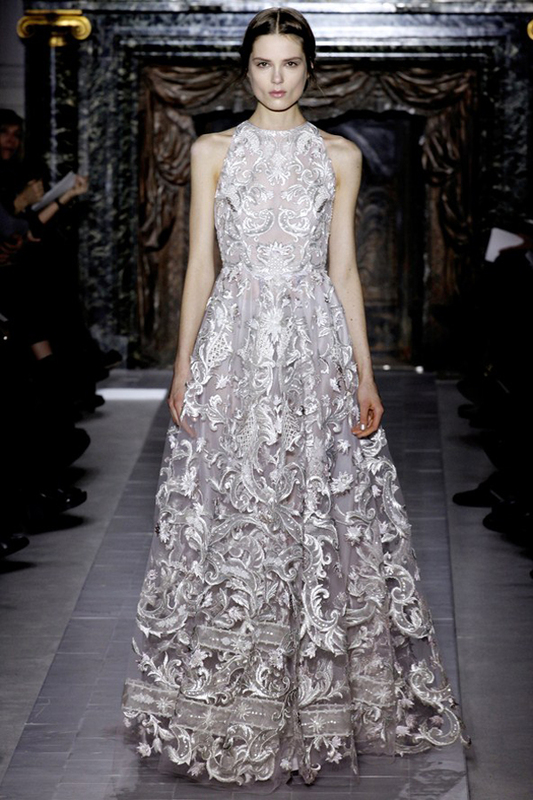 That’s how a talented designer can transform the simple lace and tulle into something gorgeous.